When you are stuck for ideas and going around the same old loop, we often resort to the same old sources of inspiration as well. These are often on our screens, but this leads to even more of the same old same old. So, we asked our resident Creativity Guru, John, to stretch our thinking and visualise how he strives to blend serendipity and lateral thought to get back into his creative flow. 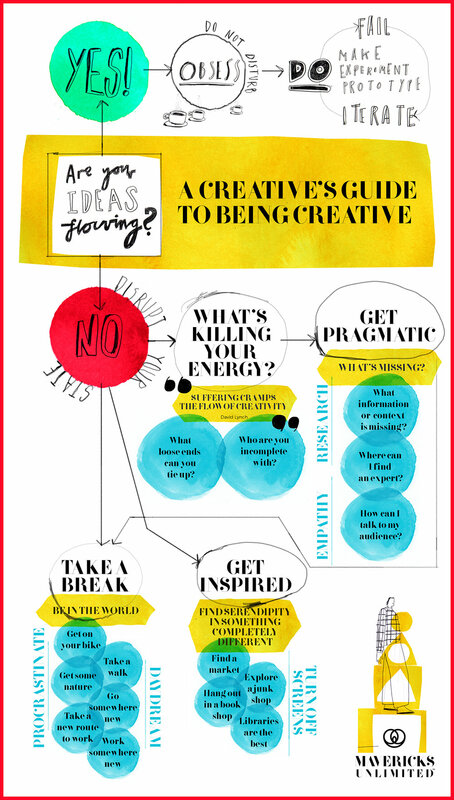 Leave a comment below and tell us how you get back into your creative flow!